Finish shown in listing photo is vintage brown. 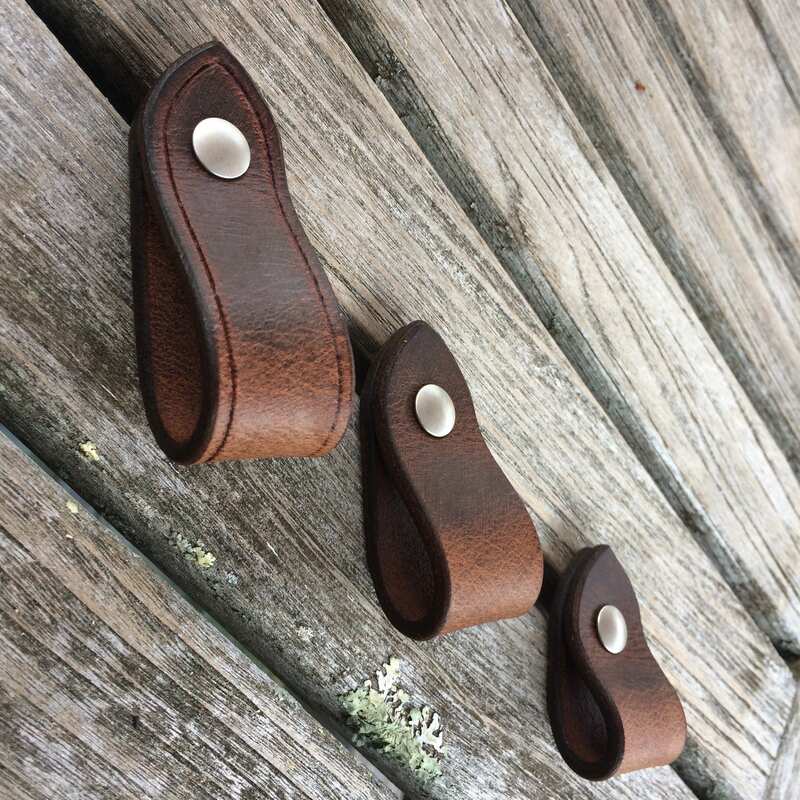 Ask about other leather options including matte black, dark brown, veg tan. Sizes in photo shown: 1" wide X 2-1/2", 1" wide X 2", 1" wide X 1-1/2"